Climb the stairs for a margarita on the plaza. 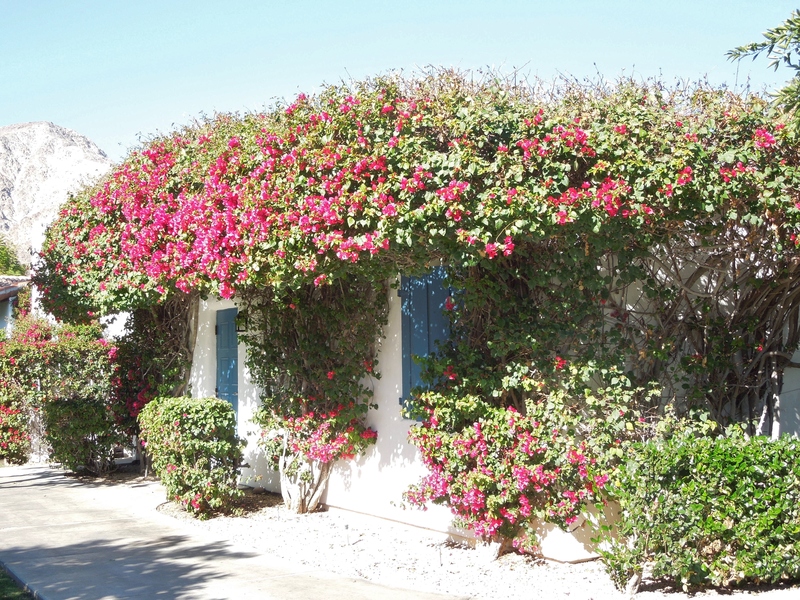 When this resort opened in 1926 as a desert hideaway, it began to attract Hollywood stars like Katherine Hepburn; Joan Crawford, who brought her children; and that wonderful Robin Hood, Errol Flynn. Eighty-seven years later, the expanded resort is known more for its world-famous golf courses. It has more than forty swimming pools. 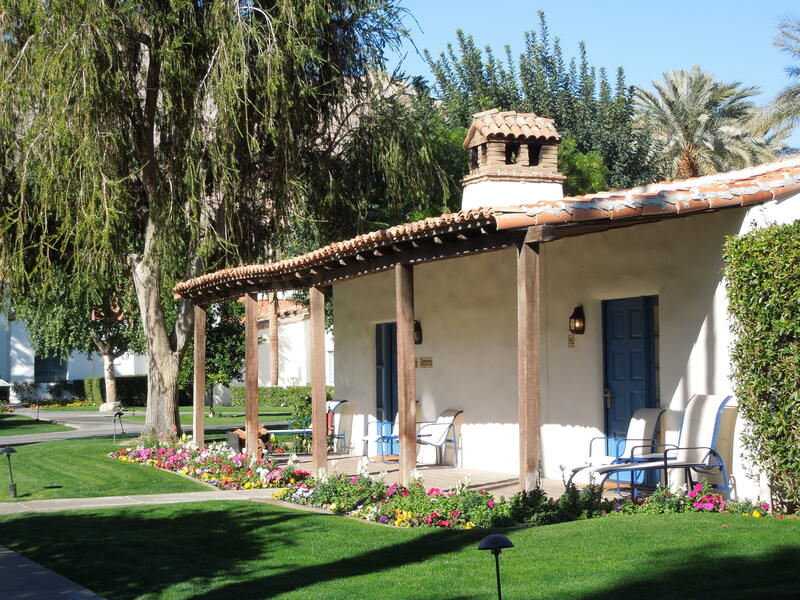 I’ve been slipping away to La Quinta for the last twenty-five years. 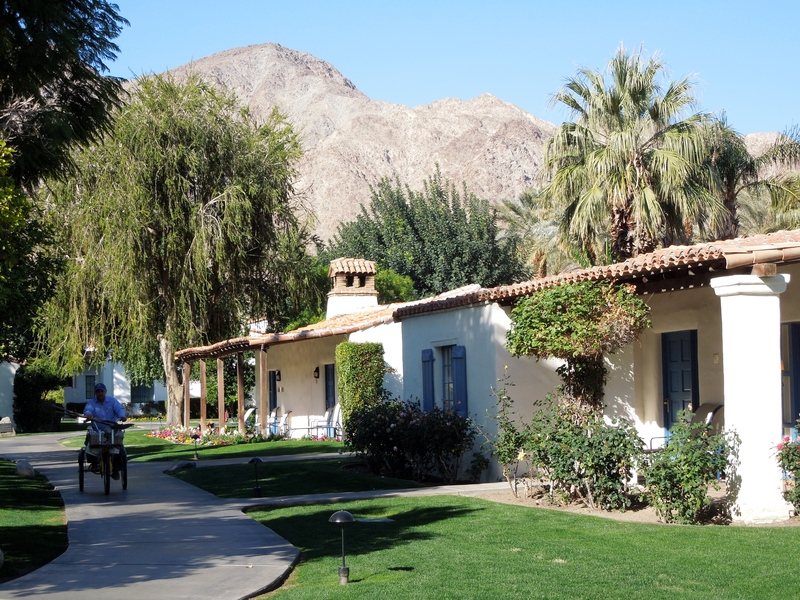 The La Quinta Resort is near Palm Springs, California, but is located in the city of La Quinta. The city is the only one in the U.S. named after a hotel. 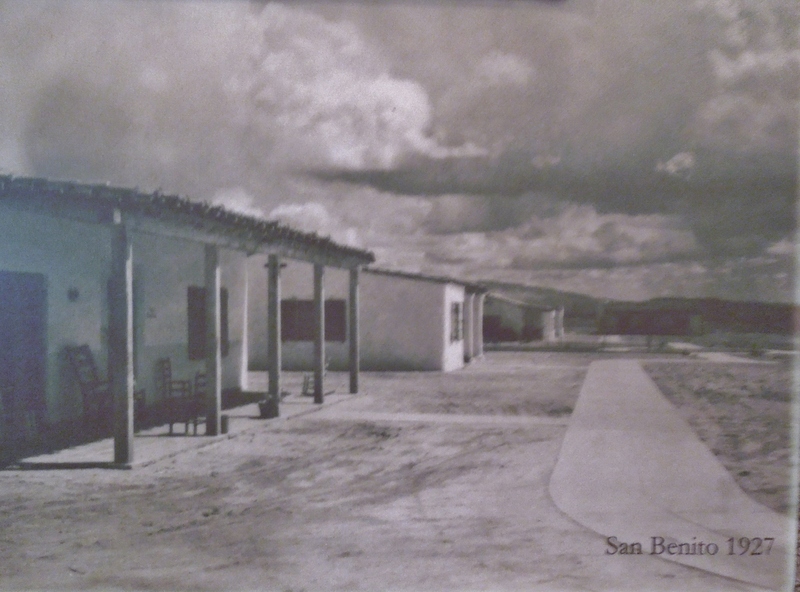 The landscape was pretty bare in 1927 except for the Santa Rosa Mountains. Now it is lush year round. While visiting, I found a plaque outdoors. I love discoveries on vacations. The Best Actor Oscar for “It Happened One Night” was awarded to Clark Gable, who often vacationed here with his wife, Carole Lombard. The 1927 photo is so barren! Aren’t we glad they planted flowers !